Officials at Lakehead University in Thunder Bay, Ont., say recruiting efforts in the Greater Toronto Area and outside Canada will continue to be crucial to the school's stability going forward. 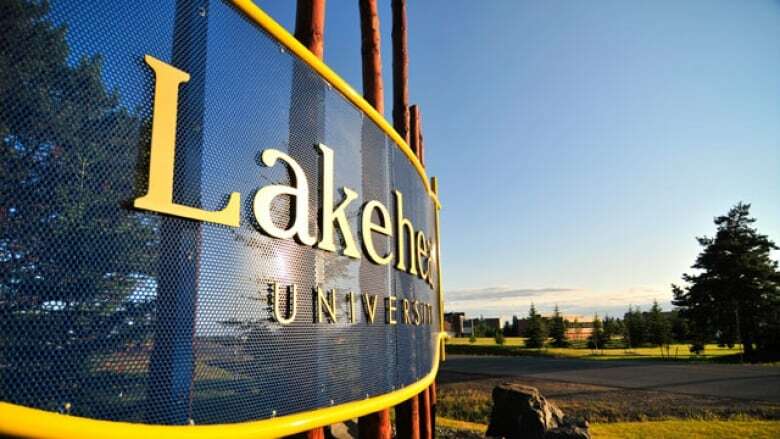 Officials at Lakehead University in Thunder Bay, Ont., say student recruiting efforts in the Greater Toronto Area and outside Canada will continue to be crucial to the school's stability going forward as population trends show a steady decline in the pool of prospective students from northern Ontario. A report released in 2017 by the Higher Education Quality Council of Ontario (HEQCO) used provincial government data to project population trends of 18-to-20-year-olds — the age bracket most likely to enter university undergraduate studies — across five broad geographical regions in Ontario. "Overall, for the next two decades, demography will not contribute to enrolment growth as it has in the past and may even threaten the enrolment level for the province as a whole," the report said. 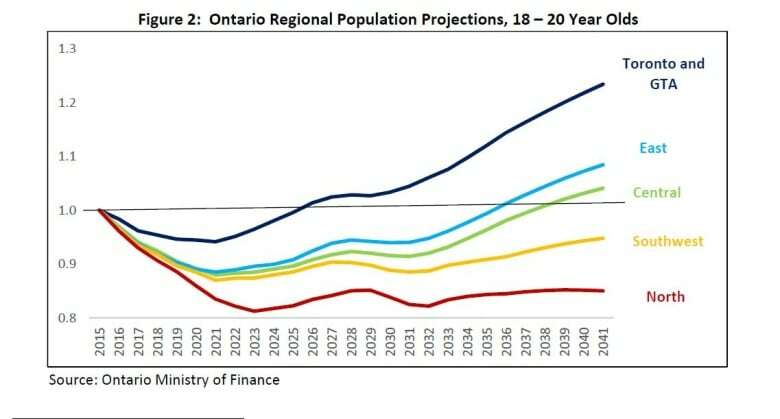 It also noted that trends will vary "sharply" among the five regions, with the Toronto area expecting a short contraction followed by projected growth, while "at the other extreme, the student pool in northern Ontario will not recover." Those types of projections have spurred efforts by the northwestern Ontario university to look beyond the region to recruit students to the school's campuses in Thunder Bay and Orillia, said James Aldridge, a vice provost at Lakehead. "The long-term population outlook for Simcoe County, where our other campus is in Orillia, forecasts long-term growth, so that's one way that we mitigate that," he said. "The other is, of course, that we recruit more international students and students from other places in Ontario than the northwest." Just under half of Lakehead's full-time undergraduate students come from the northwest, he said, with roughly one third from the GTA and about 14 per cent from outside Canada. Those international numbers continue to grow, Aldridge said. The HEQCO report showed, based on 2015-2016 data, a strong reliance on recruiting undergraduate students from northern Ontario at virtually all of the region's post-secondary institutions. Aldridge added that more effort has been put into international recruiting at Lakehead since 2010, starting under former president, Brian Stevenson. "The projected decline in northwestern Ontario student-age population is one that, I think, everyone's aware of," he said. "There's plans in the number of ways to make sure that our overall student numbers don't decline as a result of that." Northern Ontario is not the first or only part of the country where similar trends have unfolded. In Sydney, N.S., Cape Breton University was running into the same problem 15 to 20 years ago, said John Mayich, the school's director of student affairs. "The numbers of local students graduating across our region has just continued to decline, and we had to look for new markets and new ways in order to sustain programming and to sustain the university," he said. Now, Mayich said, about half of the university's roughly 4,200 students are from outside Canada. The HEQCO report said that growing enrolment "has been the most financially rewarding strategy an Ontario university can adopt to increase its revenues." Schools who pursue drawing more students from outside Canada have to similarly adapt to support those students once they arrive here to study, according to both Aldridge and Mayich. That has led to both Lakehead and Cape Breton bolstering staffing to better ensure that international students have the necessary supports, from academic and employment to finding accommodations — even initiatives to pick them up from the airport. Mayich said, at Cape Breton, overall enrolment growth at the school has also meant considering adding more space and resources to certain programs. Both schools said they've especially made efforts to better help students from outside Canada navigate the process of finding off-campus housing and assisting with ensuring they understand the rules and regulations around renting. Are international students in Thunder Bay at risk of exploitation by landlords? "The reality is that there are cases where landlords will take advantage of international students, but there's also the reality that we have to make sure, as an institution, that we prepare our international students to be ready for the realities of the local rental market," Aldridge said. "We do a lot already, and we'll continue to do more to help make sure that international students know ... what their rights are and know, sort of, what they have to be careful of." "I do appreciate that, as we grow the number of international students in the city, we need to continue to support them." As schools continue to market themselves internationally, Mayich said, the school campus and surrounding community becomes more diverse, especially in centres that aren't traditional hotspots for immigration, like Sydney and Thunder Bay. "It's been a really, really great opportunity for people to experience other cultures," Mayich said. "It's been a really robust opportunity for people to see different cultures that they wouldn't have typically been exposed to."